Nestled beneath the magnificent Glen Rock, Esk is a beautifully kept town with a range of cafes, gift and antique stores and sites to explore. As you drive into Esk, leave your cares and worries behind you. Your first stop is the Esk Visitor Information Centre on Ipswich Street where you can get travel tips from the locals. Drop in and see the friendly team of volunteers who are always happy to share their local knowledge with visiting tourists. Whilst you are there be sure to visit the Glen Rock Gallery and see the latest exhibition of local artwork. After driving up the steep incline of Highland Street, you will arrive at Lakeview Park Lookout. There you will see stunning views which stretch across to Wivenhoe Dam and beyond. With shaded picnic tables and breathtaking views, Lakeview Park Lookout is a prime spot for a picnic lunch. Back on the main street, take a stroll and discover the many unique gift and antique stores. There are a number of locally owned cafes and restaurants that offer real country hospitality and delicious meals. For those who enjoy getting active in the outdoors, the Brisbane Valley Rail Trail is a must visit. Explore the disused rail corridor which connects Esk to the towns of Coominya and Toogoolawah. The old Esk Railway Station was built in 1886 and today it’s a popular meeting spot for groups using the trail, as well as history buffs who like to reminisce the days when the old steam trains used to pull into the station. Just outside of Esk, many adventures await at Ottaba Llamas where you can do a guided tour with a llama along the Brisbane Valley Rail Trail and see many other friendly farm animals. The Ostrich and Fish Farm also has an array of farm animals and visitors can enjoy a slice of farm life as they wander through the 100 acre property just outside of Esk. Esk is the gateway to all the hidden delights of the Somerset region such as Lake Wivenhoe and Lake Somerset. A teamster’s camp beside a newly cleared bullock track was the beginning of Fernvale, originally known as “Stinking Gully”. The spot became a regular camping place on the road from Ipswich to Esk and in 1875 it became known as Fernvale. Since then Fernvale has emerged as one of the most popular weekend tourist spots within the vast Brisbane Valley. Twin Bridges and Savages Crossing are popular swimming and picnic spots for families to cool off and the launch point for canoeists to meander down the Brisbane River. The Fernvale markets are a prominent attraction every Sunday morning, to visitors and locals alike. Bargains can be found while you stock up with farm fresh fruit and vegies. Experience the many eateries and shops that line the main street, including the home of the town’s award winning meat pies. For those who want to stretch their legs, the 9km ‘Rail Trail’ lends itself to an experience of scenic views along the Brisbane River between the towns of Fernvale and Lowood, or if you choose you can ride your bicycle or horse. The first settlement in the Brisbane Valley was in 1841 by the McConnel family at Cressbrook Station. McConnel’s land was later divided to create the town of Toogoolawah. It lays claim to one of the most significant events in Queensland history. In 1873 Queen Victoria sent a small herd of red deer as a gift after Queensland was named in her honour. The deer were released at Cressbrook Station in Toogoolawah and descendants of those deer can be found throughout the region today. Stay overnight at one of the town’s hotels and take a step back in time by enjoying a movie, in the old country style, at the Alexandra Hall. Get to know the locals in one of the many country pubs on the Main Street where many stories can be discovered, or sample a great meal at one of several restaurants and eateries. For the adventurous, feel exhilarated by sport parachuting or try a tandem skydive above the township. Visitors can be thrilled by Watts Bridge Memorial Airfield’s Festival of Flight, which is held annually in August. 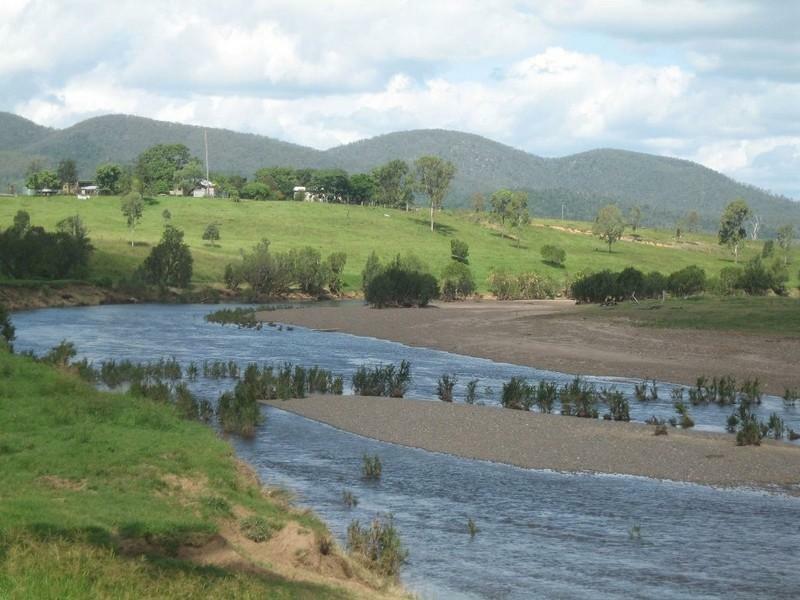 The Headwater Country is the start of the Brisbane River. It is a destination which encompasses all there is to see and do in the upper Brisbane Valley. As you wind through the unspoilt scenic countryside, century old buildings begin to appear and lead you to the quiet villages of Harlin, Colinton, Moore and Linville. The warm country hospitality of the locals reminds you of an era gone by. Take the opportunity to stop and talk to them to find out the area’s hidden treasures. The picturesque parks in each township offer an overnight stop for caravans and campers to enjoy the Brisbane Valley Rail Trail or just simply pull over to relax and take in the beautiful scenery and refreshing country atmosphere. Kilcoy is a quiet rural town which services the surrounding district which is known for its beef cattle and, increasingly, its vineyards. Its one significant attraction, and definitely worth stopping for, is the statue of the Yowie. Most Australians have no idea what a Yowie is. The statue goes some way to describing this strange, mythical creature. 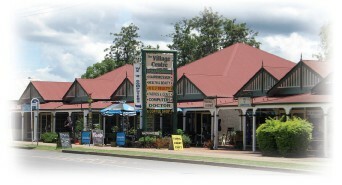 Kilcoy is 125 metres above sea level and is located 99 km north west of Brisbane via the Bruce and D’Aguilar Highways. The brothers, Evan and Colin Mackenzie, who arrived in the district in 1841, took up a substantial landholding and named it ‘Kilcoy’ (a Gaelic word meaning ‘nook of the wood’) after their family estate in Scotland.